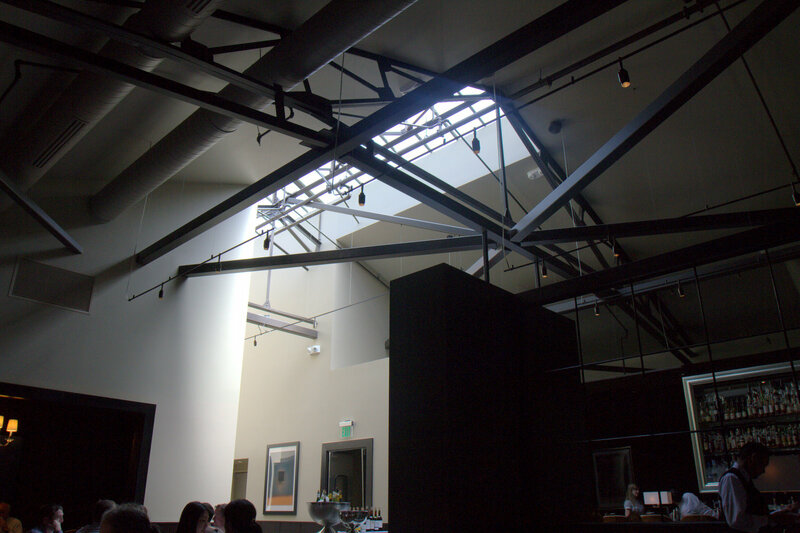 Spruce is an upscale restaurant in the Laurel Heights neighborhood of San Francisco, CA. 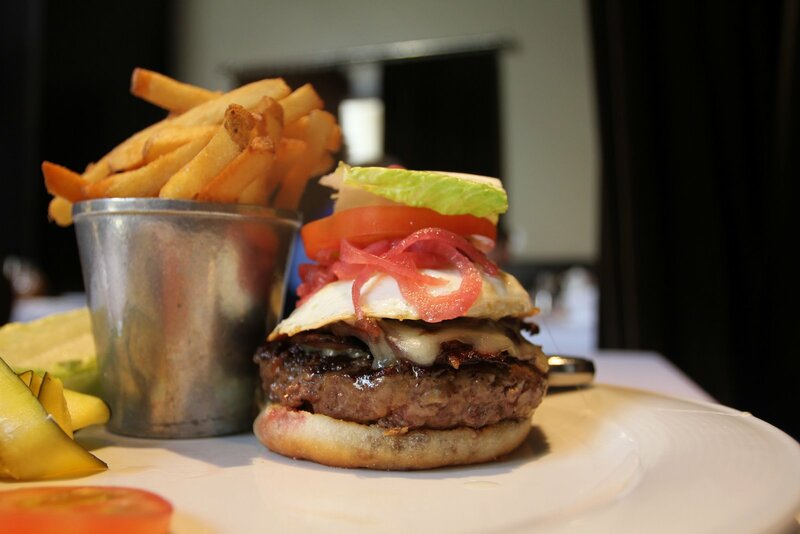 They specialize in contemporary American cuisine using fresh, local produce and naturally raised meats. 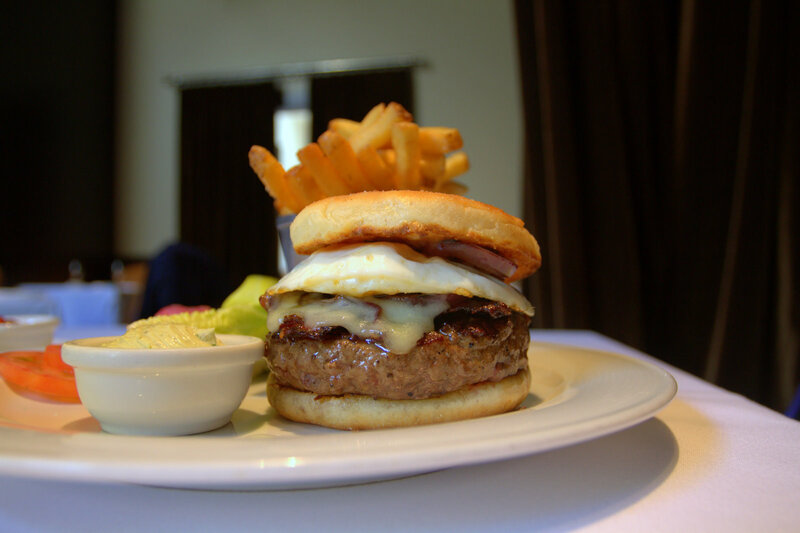 Spruce opened their doors in 2008 and they were recently featured in the 7×7 Magazine’s Top 10 Burgers in San Francisco list. 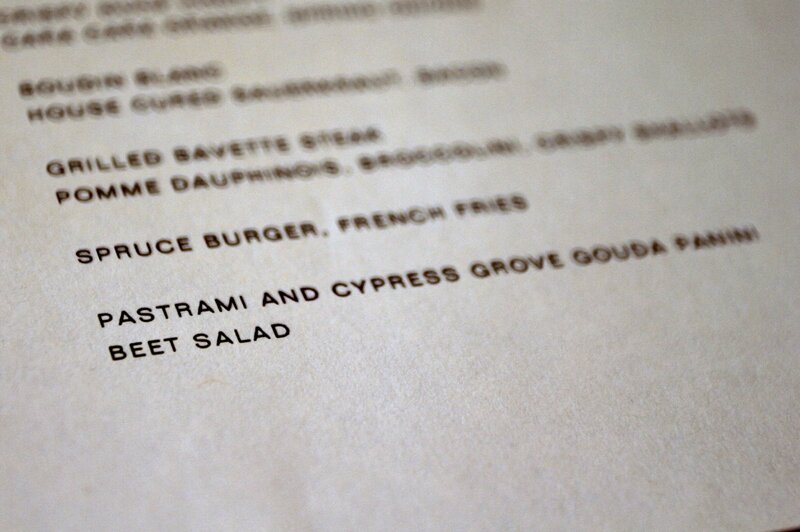 This list, which was also posted on Foodspotting, is how I originally found the restaurant. 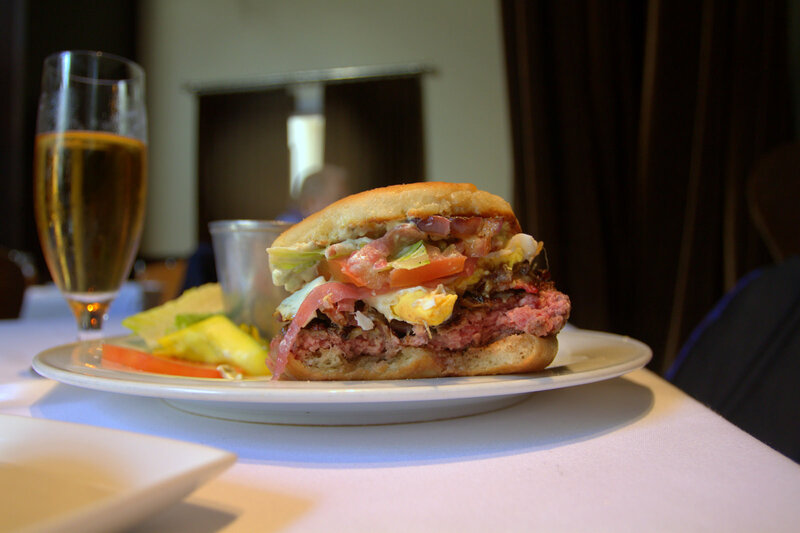 I was in San Francisco visiting the Twitter Headquarters and as soon as I found out I was going to be making a trip to the city, I scouted my “must eat” list to see which beautiful burgers were in the area. Although I had originally heard about Spruce from the 7×7 list on Foodspotting, I was also hearing good things about them from my burger friends on Twitter like @larryconlin and @sftaoofpao. 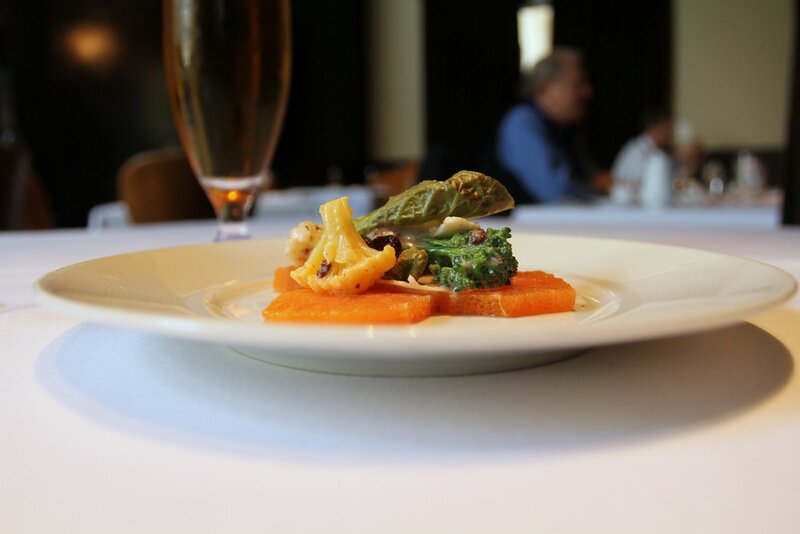 After I made my reservation on OpenTable, I posted a few messages on Twitter about my trip. Much to my surprise, I got a reply from @sprucesf on Twitter letting me know I should talk to the manager Katie while I was there. After looping around a few times, I found a parking spot and made the short walk to Spruce. 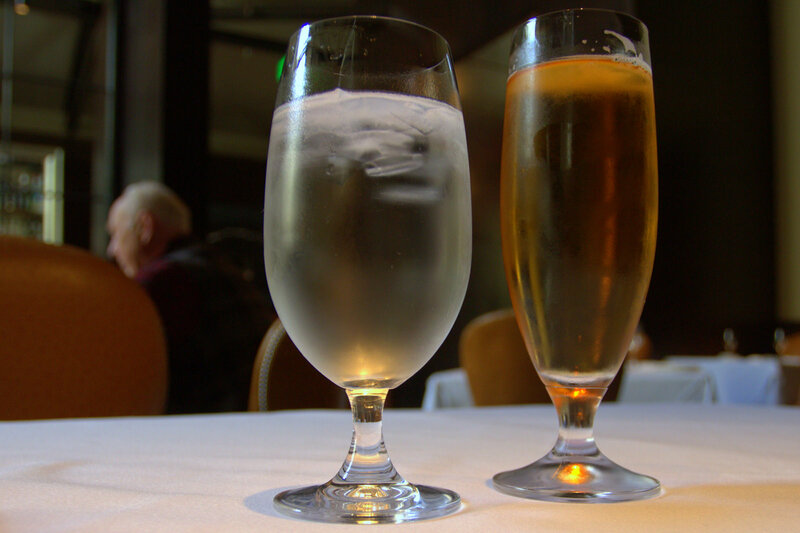 The hostess, manager and waiter were so accommodating, it really renewed my faith in the restaurant service industry. In some fine dining establishments they may not want a guy with a DSLR camera taking photos, but they really made me feel welcome! My burger arrived, dripping with juice, looking like an oversized sausage breakfast sandwich on a cute English Muffin style bun. On the side for toppings were fresh slices of tomato, pickled red onions (my new favorite), zucchini, and lettuce. As I stacked the tasty toppings I felt like I was playing a delicious game of burger Jenga. 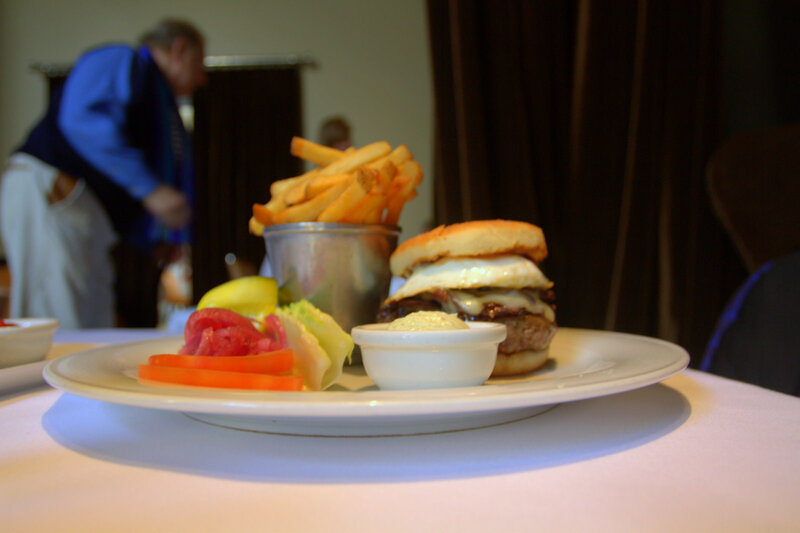 The first bite of the perfectly seasoned Niman Ranch beef burger was like a celebrated launch of a luxury cruise line in my mouth. The mouthwatering medium cooked burger juices were as good as a bottle of champaign breaking over the bow of my tongue. The sweet zip of the pickled red onions and the slight saltiness of the pancetta helped me sail through the sandwich with a smile. I would have preferred a more hearty traditional bun like the one I saw featured on the 7×7 list instead of the English Muffin style bun, but it did seem to hold up decently throughout the meal. 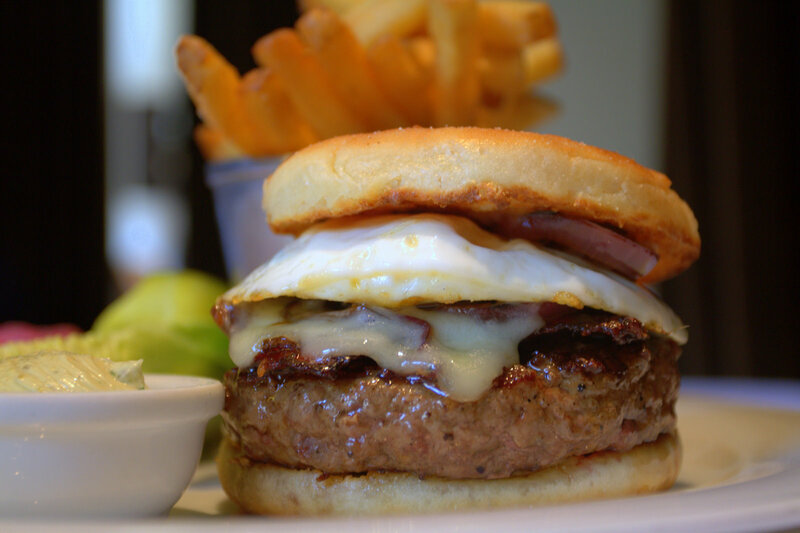 The french fries that come with this burger defined the clichéd phrase “melt in your mouth”. I’ve never had a french fry that gave you the proper initial crunch and then quickly melted away as you made your way through the insides. 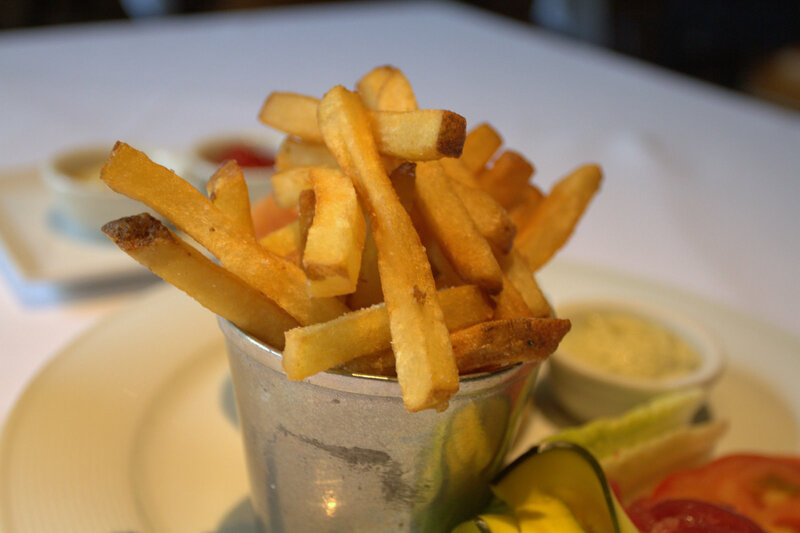 I’ve eaten and raved about a LOT of french fries, but these may truly be on the top of the list. Like bring with you on a dessert island, what 3 things would you wish for worthy french fries. A couple bites into the Spruce Burger and you can see why it has made the 7×7 list of best burgers for a few years. 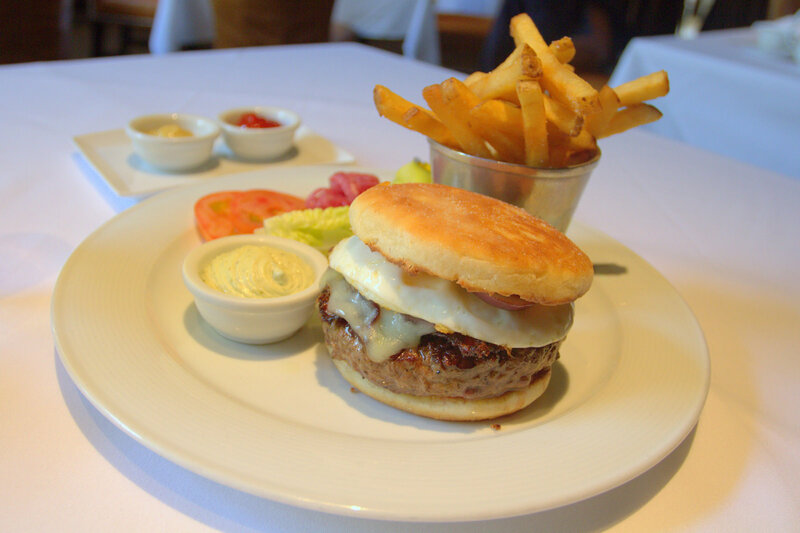 The restaurant atmosphere is refined, yet inviting and with your choice of just about “anything” that can go on top of the burger, this is truly a premium burger that you can make your own. Extra B factor points for over the top service, french fries that brought a tear to my eye, and first impression attractiveness. 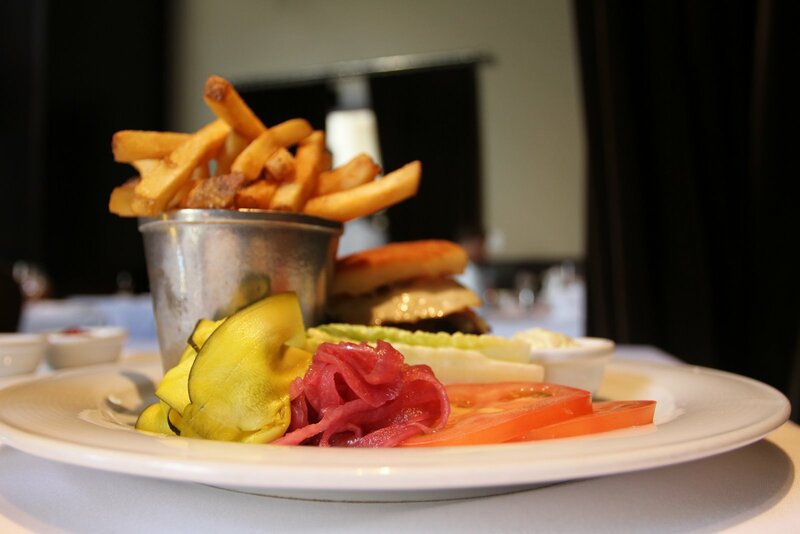 Have you had the Spruce Burger? 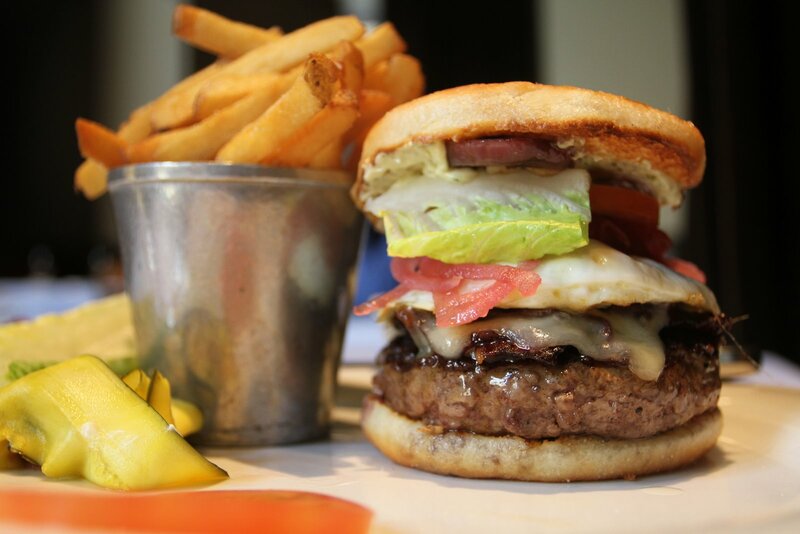 What other burgers in San Francisco are must haves? Nice work on the burger! Man I’m salivating and craving it again just reading this. Great pics, too! I hope you tried the sweetbreads. Best I’ve had in SF. I didn’t try the sweetbreads (although I’ve had them once locally). 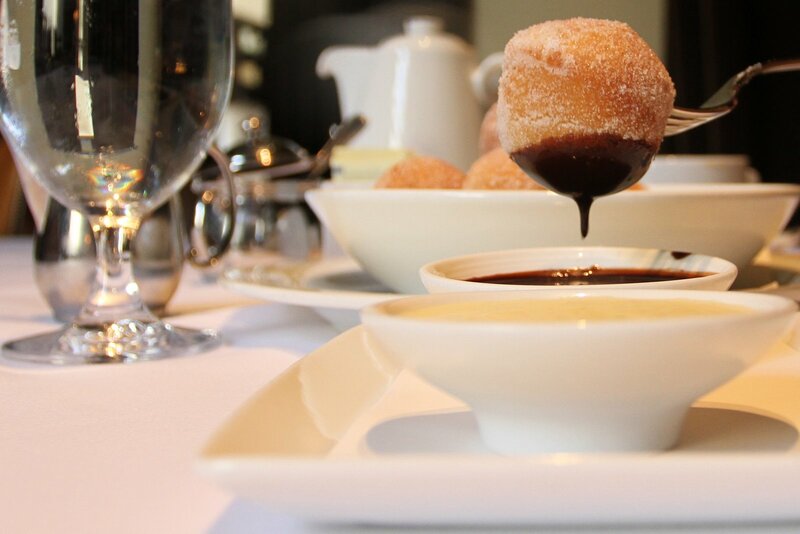 The beignets with dipping sauces were damn good though!